Welcome to the Ashland Institute of Massage Continuing Education page! We offer an evolving variety of high-quality continuing education classes and workshops for licensed massage therapists, other health care workers, and occasionally the general public. Held year-round, these classes range in topic from therapeutic treatment skills to new bodywork modalities, from ethics to insurance billing. This special stand-alone class continues with myofascial techniques that dramatically improve your ability to work with the ribcage and related structures such as the spine, diaphragm and mediastinum. Increase your effectiveness when working with back pain, rib pain and injuries, ligament and joint conditions, respiratory issues, surgery recovery, thoracic stability, scoliosis and postural issues, and movement limitations.Completion of either our “Rib I,” “Spine, Rib, & Low Back,” and/or “Scoliosis” courses (via seminar or DVD) is highly recommended (though not required) preparation for this course. All are welcome! If you have enjoyed MFR training at AIM or are ready to expand the therapeutic value of your work, this series of classes will be deeply satisfying. This season, we are fortunate to welcome Til Luchau himself to our school. Don’t miss this amazing opportunity to learn from a true master! 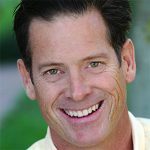 Til Luchau, Certified Advanced Rolfer®, is a popular presenter and author of the bestselling Advanced Myofascial Techniques books. 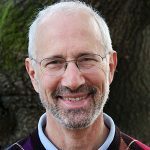 He is a former faculty member and Coordinator of the Rolf Institute Foundations of Rolfing Structural Integration program, as well as Adjunct Faculty in Naropa University’s graduate school of Somatic Psychology. His regular Myofascial Techniques column has appeared in Massage & Bodywork magazine since 2009, and his articles have been published in magazines and peer reviewed technical journals in Australia, Canada, Poland, Korea, Japan, the UK, and the USA. He directs and is a lead instructor for Advanced-Trainings.com. Til’s ability to connect interdisciplinary, big-picture ideas with practical, real-world applications has made his trainings and events popular worldwide. Learn advanced myofascial and manual therapy techniques that dramatically improve your ability to work safely and effectively with scoliosis; movement restrictions of the trunk; as well as rib, spine, and thoracic pain (whether or not associated with scoliosis). The Scoliosis course is often referred to as the “culminating class” of the series, bringing together all the theoretical and practical aspects of the other courses in the Advanced Myofascial Techniques series. Completion of the “Spine, Ribs & Low Back” course (via DVD or seminar) is HIGHLY recommended, though not required. In this 4-hour class, we will explore the therapeutic relationship that develops between a client and therapist. We will look specifically at how our non-verbal communication can enhance this relationship and help develop a greater sense of safety and trust for our clients. With presence, compassion, & attunement, we access an important gateway to healing. This interactive class will include small group explorations as well as large group discussions and lecture. You will earn 4 Ethics and Communication continuing education hours, required by the OBMT for license renewal. Kelly Vittoria, LMT, RCST, has been a practicing massage therapist for 17 years, and an instructor for 10 years. During this time, Kelly has developed a deep understanding for how essential the therapeutic relationship is for healing. 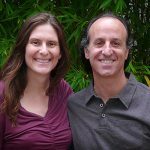 Sam Vittoria, CHP, is a mindfulness-based somatic counselor who is trained in the art of therapeutic presence, attunement, and communication. He is a skilled in numerous psycho-therapeutic modalities, all of which place the therapeutic relationship at the center of healing. Together, their warm and welcoming presence create a feeling of trust and ease with both their clients and students. In this hands-on class we will be adding movement on the table as an additional tool to help our clients be more open, pain-free, and flexible. You will gain additional hands-on techniques and sensitivity to evaluate where deeper blockages are, use movements to release the blockages, fluidly connect parts up, integrate at a very deep level in the body, and have self care homework for your clients. This course is NCBTMB approved. Jim Berns, Ortho-Bionomy®–Registered Advanced Instructor, has taught internationally for over thirty years. He is coauthor of Ortho-Bionomy: A Practical Manual. Jim was trained by Dr. Arthur Lincoln Pauls, the founder of Ortho-Bionomy®. A certified massage therapist since 1979, he was named 2013 Educator of the Year by the American Massage Therapy Association (AMTA). Jim brings to his over three decades of teaching detailed information, a compassionate heart, and a unique sense of humor. In Connection: Where Body Meets Energy you will learn to work at the cusp of the body’s physical structures and the energy that moves through and around them. 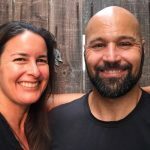 In the process, you will learn several safe, effective strategies both for connecting with your partner in touchwork and for connecting with your own energy field in practices for your personal development. 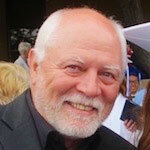 Jim Gilkeson has taught energy healing for 35 years. A former Harbin Hot Springs bodywork therapist, Jim has written two books on energy healing: A Pilgrim in Your Body: Energy Healing and Spiritual Process and Energy Healing: A Pathway to Inner Growth. In this class we will continue with the Fascia Energetics approach to the Connective Tissue/Chi relationship, focusing now on calming the 3rd Dan Tien (Head/Brain) and descending Yang Chi through the Yang Fascial lines.Yang Chi can get stuck in the Head and Neck causing excessive mental activity, over sensitive nervous system, pain and tension in the neck/shoulders, Lower Dan Tien deficiency, and chronic disembodiment. We will cover practices and techniques for descending Yang Chi while addressing the entire Fascial/Muscular/Skeletal structure of the Head and Neck. This class is part of an ongoing series on Fascia Energetics. If you missed the Fascia Energetics Introduction weekend on January 12-13, 2019, please plan to attend Matthew’s free 3 hour lecture/introduction on June 7th from 6pm – 9pm. Matthew Schulman has been a full time LMT since 2007 and has been training in Taoist martial arts since 2002. 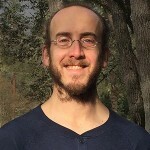 In addition to his training at AIM, Matthew learned the “old way” through apprenticeships and countless hours of study, practice, and meditation. He had the great opportunity to study closely with Paul Grilley who introduced him to many of the ideas and research that form the basis of this work. Fascia Energetics has come about as the result of these 16 years of learning and growth. It is Matthew’s hope to add this drop of knowledge to the bodywork field, helping it to grow and be accepted as the deep path for healing that it truly is. One of the most frequently asked questions in classes on touch and energy healing is about avoiding unwanted energy transfer from a client. In this course, we will explore safe, effective energy-based strategies for touch work that will help you both to avoid energetic problems and allow you to connect effectively with your partner. This course is a mixture of lecture, discussion and hands-on practice covering topics such as Sorting out Who’s Who; Sorting out your Intention; Containment; Attraction Points and Affinities; and the concept of Boundaries vs. Interface/Transition Zones. Recommended for massage and bodywork therapists, empaths, and subtle energy practitioners. A new twist on an ancient modality, cupping is no longer only for chinese medical practitioners. In the hands of a massage therapist, cupping can melt away superficial fascial tension, release trigger points without stress on practitioner thumbs and joints, and move lymph effortlessly. This class offers an introduction to active cupping techniques that will allow you to achieve great results with minimal time and effort. Cups will be provided, and available for purchase in class. If you have a set already, please bring them. 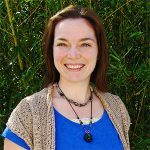 Jessica Masters, LMT, has been licensed for seven years in the state of Oregon and practices out of Siskiyou Massage Clinic in Ashland. A graduate of Ashland Institute of Massage in 2010, Jessica also holds a certification in Medical Massage, where she was first introduced to cups in 2014. Jessica has a passion for teaching and sharing her excitement about this incredibly effective modality. This concise 2½-day workshop will give you the knowledge and skills to immediately incorporate manual lymphatic drainage into your practice. This simple, powerful, and deeply relaxing technique uses gentle manual maneuvers to stimulate lymph circulation, healing and detoxification, as well as enhancing the functioning of the immune and parasympathetic nervous systems. The relevant anatomy, physiology, and pathology of the lymphatic system including the location of nodes and drainage patterns. Specialized hands-on techniques to guide and powerfully improve the flow of lymph.An overview of important complementary interventions to help your clients further improve their lymphatic flow, including movement, breath work, and rebounding. This course includes a manual with pictures and descriptions of all techniques and useful client education and homework handouts. If you are ready to expand the therapeutic value of your work with a highly effective in-demand technique that is easy on your hands, this class will be profoundly valuable. We all want to be heard and understood! Our clients certainly do, and keeping communication clear and effective can be a challenge of its own. 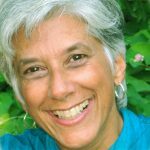 Join Joanne to learn some simple techniques that will help you discover the healing power of empathic listening—for both your professional and personal lives. We will also address your real-life experiences, and you’ll take home fresh ideas and techniques for expressing yourself cleanly and clearly. This course meets the 4 hour Ethics, Communication and/or Boundaries requirement for Oregon LMT license renewal. The releases demonstrated in this class use osteopathic-based gentle body positions and movements to stimulate self-correcting reflexes within the muscles and nerves. This highly specific and structurally-oriented method can move the client out of pain and discomfort within ten to thirty seconds. This class focuses on releases for the neck; thoracic and lumbar spine; sacrum; iliac; and psoas muscles. THis course is NCBTMB approved. You may register online by clicking on the class of your choice or calling 541.482.5134. We offer an early enrollment discount for registrations paid in full by the noted early enrollment date for each course. See course descriptions for details. Cancellations may be made via letter, email or phone. Cancellations with fewer than three (3) days’ notice will be charged half the seminar tuition. Other cancellations will be charged a $25 cancellation fee. Stratford Inn Ashland honors 10% off for our guests. We look forward to hearing from you! Please fill out our contact form to join our mailing list. Call us at 541.482.5134, email us, or complete our contact form if you’re interested in teaching Continuing Education classes at AIM.